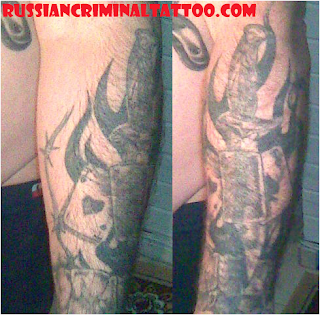 Tattoo like BARDAK but without alcohol,syringe and etc.Meaning i don't know. This tattoo of this prisoner. This tattoo mean This is what is destroying us some like BARDAK.On tattoo all what destroying this men.